The other day, I was in the mood for pasta, but wanted to prepare and present it in a different way than normal. 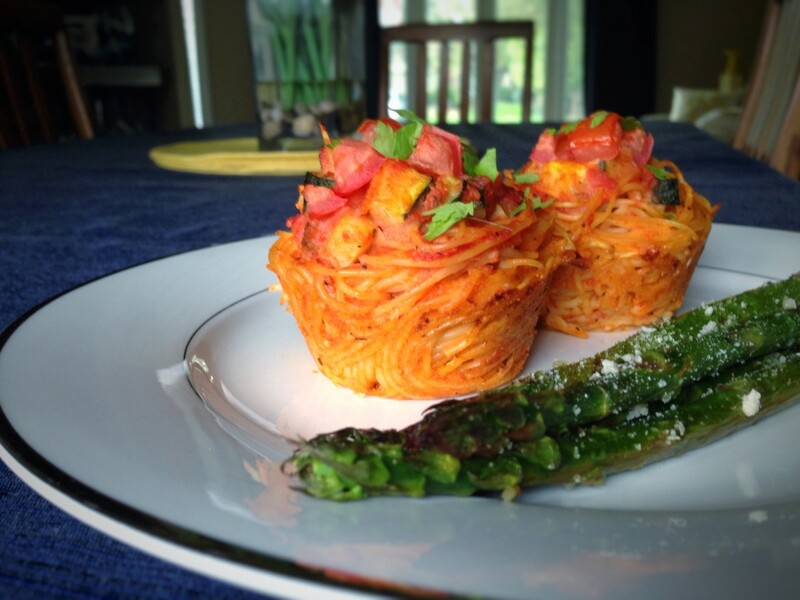 So I improvised upon a recipe I found for Angel Hair Pasta Nests to create this tasty and unique recipe. It offers a great alternative to regular angel hair pasta, and presents very well on the plate. (Oh, and it goes very well with a side of asparagus.) So if you’re looking for a delightful alternative for your next pasta dish, give this one a shot. You’ll be glad you did.